The Marvel Netflix shows have so far traditionally been largely self-contained, and relatively unconnected from the wider Marvel Cinematic Universe. 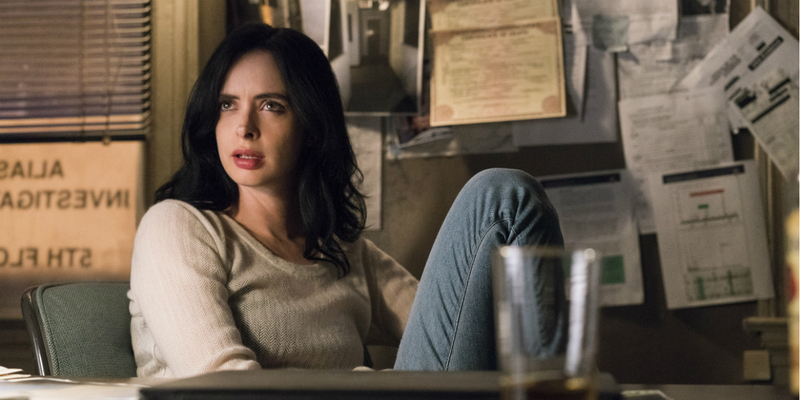 Until Jessica Jones season 2, the only references to the events of the movies have been mentions of "The Incident" - the Chitauri invasion of New York City - and the occasional superhero name-drop. This has left some fans dissatisfied with the lack of connectivity, especially given the events of Captain America: Civil War, which should surely have some impact on any enhanced humans in the world. There's good news for fans of crossover narratives, however, as Jessica Jones season 2 builds upon Civil War - specifically, upon its introduction of the superhuman prison known as 'The Raft'. Civil War introduced audiences to the Raft, a dedicated prison designed for superhumans who were in breach of the Sokovia Accords. It's likely that construction of the Raft began years before the film - possibly even under S.H.I.E.L.D., back before the events of Captain America: The Winter Soldier. Lifted straight from the comics, the Raft was envisioned as a sort of superhuman equivalent of Guantanamo Bay. Unlike in the comics, the MCU version of the Raft is situated in international waters, meaning no government has legal jurisdiction - and, given no flag state is running the prison, human rights laws do not apply. In Civil War, Steve Rogers' team of Avengers were imprisoned there with no hint of due process or promise of a future trial. Jessica Jones season 2 revisits the concept of the Raft. Aware of her mother's crimes, Jessica tells Alisa that she deserves the Raft. When Alisa is eventually caught, imprisonment in the Raft is seen as the most likely outcome of her killing spree. Even more disturbing, the police note that human rights laws do not cover powered people due to "special protocol." Attorney/client privilege is revoked, and there's no suggestion that Alisa will be given a trial. If Alisa is sentenced to the Raft, she will have no visitation rights, and will be kept in confinement for 23 hours a day. Given that Captain America broke his team out of the Raft, had Alicia been sent there she'd have been the only inmate - at least, as far as we're aware. It is, however, possible that other "enhanced" criminals have already been sent there. The Abomination, for example, was initially kept in cryogenic suspension in Alaska. It's possible he's now been sent to the Raft. Although the Marvel Netflix shows have included a number of easy-to-miss connections to the wider MCU, this is one of the most explicit - and the most important. For one thing, it helps to fix the Marvel Netflix shows in the broader MCU timeline. Although the shows kicked off in 2015, time's been moving slowly over in the Marvel Netflix world; in fact, Daredevil season 2 and Luke Cage season 1 overlap. All that changed with The Defenders, as dialogue suggested some time had passed between Iron Fist season 1 and the ensemble series. The timeline was gradually creeping closer to Civil War, the passing of the Sokovia Accords, and the registration of every "enhanced" individual. The reference to the Raft clearly positions Jessica Jones season 2 after the passing of the Sokovia Accords. Agents of S.H.I.E.L.D. has implied that signatories to the Accords are divided into several categories; the show has confirmed the main Avengers listing, and also an Inhumans Registry. It's likely that another category is S.H.I.E.L.D. 's old Gifted Index. Significantly, Jessica Jones season 2 saw Jessica quip that she and her fellow "powered" people prefer to refer to themselves as "gifted." It was the first time the Marvel Netflix shows had ever used the term, a dark joke that supports the idea Jessica was signed up to the Gifted Index. The Marvel Netflix shows have often seemed as though they exist in their own separate corner of the MCU, rarely acknowledging the existence of the movies and other TV shows. The reference to the Raft is one of the most explicit tie-ins to date, but it's also an important detail in helping weave the fabric of the wider MCU together.